In June I read two books; one classic and one thriller. It's now half way through the year and I have almost hit my goal of 26 already which I am really pleased with! When I was younger I had this fascination with Jane Austen novels, but found them so difficult (and boring) to read. 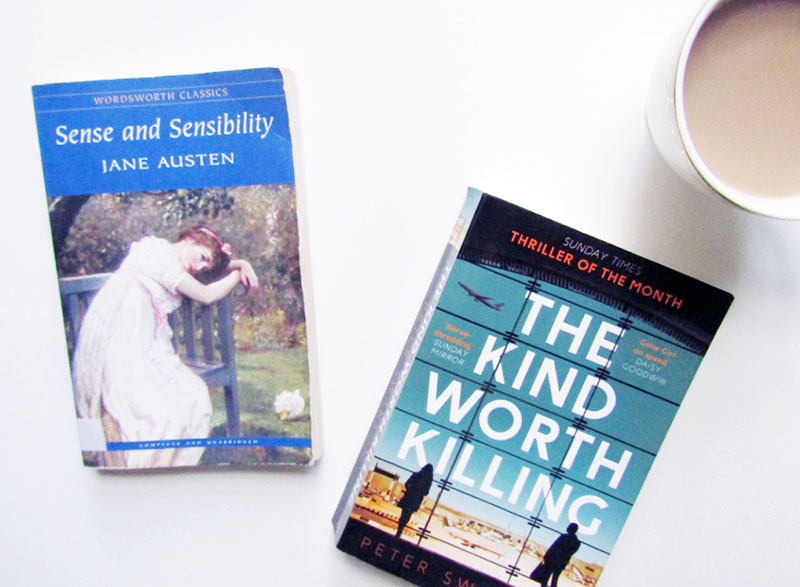 I decided than now I am a fully fledged adult (haha) I would give them another go and I'm glad I did because I really enjoyed reading Sense and Sensibility. I found it fascinating to learn about life in the early 1800s, and although not a lot actually happens there is somehow a lot of drama - bloody brilliantly written. Also, side note; Jane Austen shares my birthday so that makes her pretty cool anyway. I read this book for #BookClub140, the twitter book club run by the lovely Stacie from Parker and Me. I love a psychological thriller so this was right up my street, and it didn't disappoint. It was deep and dark and I loved the twists and turns - the only thing I wasn't keen on was the ending as I felt the author had run out of steam. It was left on a cliffhanger which I didn't appreciate, but who knows, perhaps there will be a sequel. If you want to join in with this month's #BookClub140 we are reading Luckiest Girl Alive by Jessica Knoll and the chat will be on Sunday 31st July at 8pm!